Jumping the Bandwagon: Our Season 3 debut sees us taking a trip into cyberspace with our new Navi bodies. But what awaits us inside? The Skull Identity: In desperate need of a Skullman, the Comrades go to see Lord Zymeth, Zapper's friend. But is there more to him then meets the eye? Hero Training: Zymeth's not exactly the most heroic member of our team, so we decide to whip him into shape with a little Good Guy 101. For the Greater Good of God: Wraithman appears once again...but what's up with Drill, Cossack, and the unholy demon himself? The Legend of Ringman: Ringman shows his mastery of Kung-Fu...but at what cost? Jay & Silent Bob Strike Out Part1: Jay and Bob's antics finally get them ousted from the Cossack Citadel, but what adventures await them from here? Jay & Silent Bob Strike Out Part2: Dante is dead and Leonardo is...different. What will happen to our favorite Stoners? Jay & Silent Bob Strike Out Part3: The Comrade are getting bored without J&SB so they decide to seek them out again. Wraith and Skull: Brothers?! : Wraithman makes a startling revelation linking Skull and Wraith forever! More than Meets the Eye: Michael Bay's latest movie is out! But...it's a Michael Bay film so it can't be good...right? The Big Rock Candy Mountains: Jay, Silent Bob, and Dr. Cossack get high and enter a magical yet disturbing place. This is our novel, chronicling our War Time trials. Written by various members of the community, and of course ourselves. 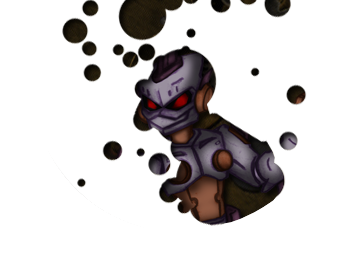 In order to know the backstory, go to the Mechanical Maniacs site and read Wanted. Prologue: Dr. Cossack War Journals Part 1 Dr. Cossack War Journals Part 2 Dr. Cossack War Journals Part 3 The Cossack's journey to War. Ch. 1: Dark Manipulation The Comrades Face Clown, Tengu, Omni, and Golem in North Korea. Ring Ch. 1: Mysterious Illusions Rebel meets Blizzard and Tomahawk in Nonsteropolis, where Mysteryman attacks! Wraith Ch. 1: Standoff in Alberta Wraith attacks Deep Impact and Makenshi, attempting to break their spirits. Ch. 2: Red or Dead Mysteryman is given another chance: Take St . Petersburg or die. The CC and Star can’t let that happen. Ring Ch. 2: A Whistle and A Chip While The Mechanical Maniacs fight the Seven Mercenaries, Rebel searches for the elusive Protoman in Madrid. Wraith Ch. 2: My World is Rome Wraith's back with some new upgrades. This time, his targets is Cosmic Gladiators, and Mesmerman's given him some new toys to play with. Ch. 3: A War of Souls The Comrades go to Germany,but are ambushed by the evil Mesmerman. Ch. 4: A Shade of Darkness After Mesmer reveals that the SA are planning to capture Cossack, the Comrades rush to fight the SA in Russia. Ring Ch. 3: Return to the Motherland Wily sends Ring and the Wily Warriors to Russia where they encounter the twisted Geminiman. Wraith Ch. 3.: Ancient Tomb, Modern Foe Wraith lures the Gila Gladiators into a trap, and meets up with an old nemesis of his, Zaneroth. Ch. 5: The Old Citadel Part 1 The Old Citadel Part 2 The Old Citadel Part 3 The Scissor Army invades the Citadel! Do the CC and their allies stand a chance?? Wraith Ch. 4: Brothers Untied Skull is dragged back to the SA headquarters, and Wraith has to face the consequences for it. Ch. 6: Enter Mesmerman Wait...why are there more chapters for the CC? And what is so important about Mesmerman? Ch. 7: Frozen Souls Skullman is slaughtering the Cosmic Gladiators and The Tyrants team up with the Assassins to take down Frostman. Oh Jay and Bob are there too. Ch. 8: "Kill Now, For Elysium Awaits" The penultimate chapter for the Cossacks!